December 2017: Offset was accused of cheating on Cardi. 12. 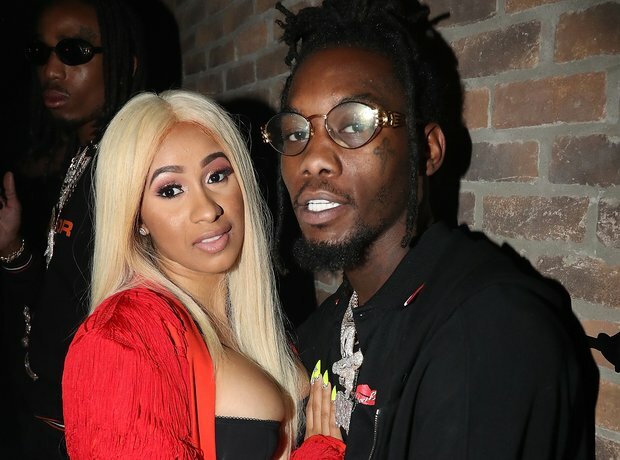 December 2017: Offset was accused of cheating on Cardi. The Migos rapper reportedly had his iCloud hacked, surfacing alleged footage of him with a naked woman in a hotel. Days later, a model named Celine Powell claimed to be pregnant with Offset’s baby. Both Offset and Cardi denied the rumours, but Cardi was later spotted without her engagement ring on her finger during a public appearance on New Year's Eve.